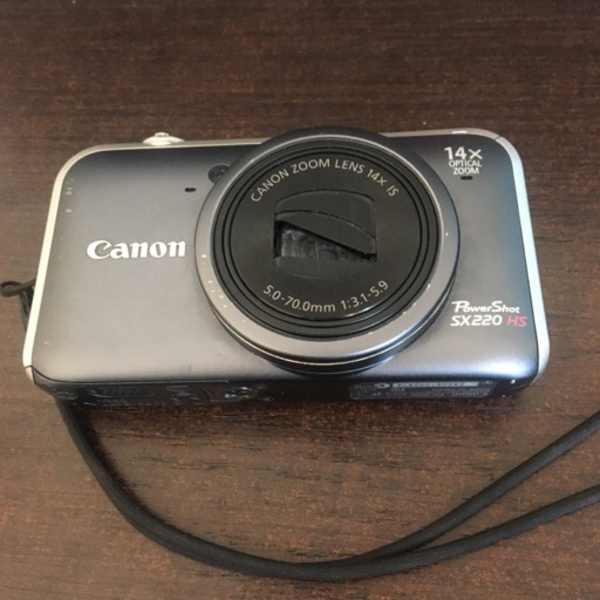 Canon powershot SX220 HS. 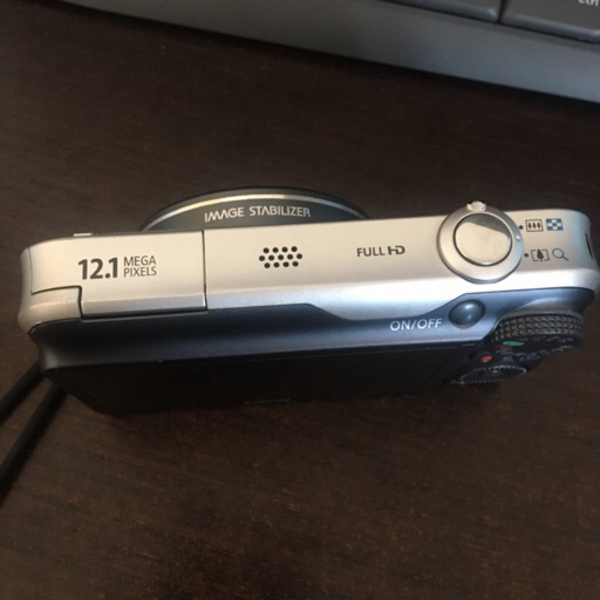 12.1MP, 14x optical zoom lens. 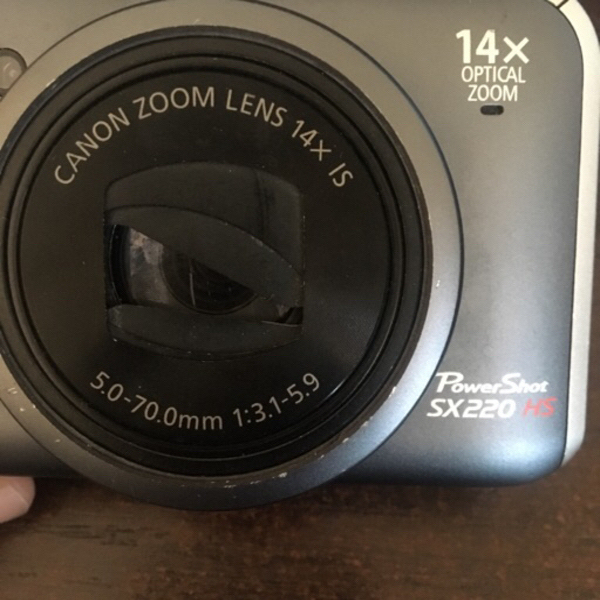 Lens has a scratch on it and lens cover has a missing piece. I don’t have a battery charger so I cannot turn camera on. I don’t know if it works or not, you and your luck. Sold as is, condition unknown. Sharene Lee I don’t know. I cannot charge the battery.